описание (ru) Strakon Мощная и самая быстрая на рынке CAD система для планирования опалубки и несущих конструкций, которая предназначена для автоматизированного проектирования и подготовки всех видов строительных чертежей, с поддержкой модулей для структурного моделирования в полном 2D, c возможностью 3D просмотра. Немецкая компания DICAD Systeme GmbH входит в состав известного концерна mb Software AG и является полноправным членом сообщества наравне с такими фирмами как: GTSdata, IEZ AG, Muecke Software GmbH, OMNISOFT Soft- und Hardware GmbH, SoftTECH GmbH, UP Vision Computergraphik GmbH, COSOBA GmbH, mb America, Inc., RIB Bausoftware GmbH, speedikon Facility Managment AG, speedikon Software GmbH, Triplan AG, Venturis GmbH, Netgrafics GmbH, My Channel Multimedia GmbH. Флагманским продуктом DICAD Systeme GmbH является Strakon/S, который за более чем 20-летний путь развития был полностью доработан и отвечает самым высоким требованиям качества. Программный продукт разрабатывался непосредственно творческим персоналом компании и в настоящее время довольно успешно занимает лидирующее место на рынке в программном обеспечении аналогичного сегмента. - Основным преимуществом Strakon/S является ассоциативная файловая структура. Например, когда длина элемента изменяется путем перемещения своего опалубка, наброски всех аспектов, люки, арматуры и т.д., будут автоматически корректироваться с учетом новых форм. Это позволяет быстро, легко и профессионально вносить изменения без дополнительных усилий. Проектирование производственных зданий, сточных водоводов бассейна, мостов, железобетонных строений, тоннелей, жилых или коммерческих помещений, нет никаких преград в полете творческой мысли технического дизайнера, поскольку Strakon/S был специально разработан, чтобы вы почувствовали себя, как при работе на чертежной доске. description (en) Strakon is a 2D/3D/BIM CAD system for structural design. The focus is on formwork and reinforcement planning. You can create 2D or 3D plans. You can edit the project in BIM (Building Information Modeling) or only in 3D or 2D. The designer or project manager can decide within a project which method is required or useful. As changes during the phase of planning and construction are very common, a high degree of modification comfort is very important. Furthermore, cooperation with many project participants via fast electronic data transfer is absolutely essential. STRAKON 2019 crack allows you to communicate digitally with all project partners such as contractors, architectsa, structural engineers, MEP-planners, construction companies, etc. BIM in particular requires good interfaces in structural design, where formwork and reinforcement plans play a central role. Here IFC, CPIXML or 3D PDF offer a very good standard. With STRAKON 2019 you are excellently positioned in the field of formwork and reinforcement planning for the future. BIM is in increasing demand by both the public and the private sector. It is therefore important that a CAD system can be optimally integrated into BIM process chains in terms of formwork and reinforcement. The decisive factor here is that BIM should offers advantages for your office – in this case STRAKON crack can support you very well. DICAD is a member of buildingSMART and the structural design group and is actively working on changing planning methods a 3D/BIM processes. 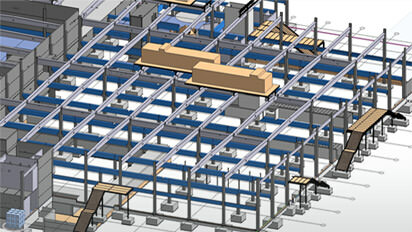 The focus of planning with STRAKON is in the field of formwork and reinforcement planning in 2D, 3D and BIM. With STRAKON key you can work on different specialist fields. A structural engineer will find that STRAKON idealy supports his point of view when it comes to Structural engineering, civil engineering, bridge construction, precast construction, unitized construction and much more. But STRAKON can also be used for process in the fields of architecture, steel construction, timber construction etc. The rapidly growing number of STRAKON Premium users shows that STRAKON is gaining more and more approval and becoming the standard system. The new version 2019 of the structural, reinforcement and precast planning software STRAKON by DICAD now also enables the automated planning of individual bridge superstructures. In a figurative sense, STRAKON has already built bridges in the earlier versions - namely between 2D, 3D and BIM: Thanks to seamless transitions, from drawing-oriented planning, through 3D construction, to the BIM planning method, STRAKON users can reduce complexity of high-rise, engineering or prefabricated construction project, each appropriate working method, individually. The new 2019 version of STRAKON now also complements the range of applications for bridge construction.